Apple’s long-time head of Apple Mail Terry Blanchard is leaving the company, but he will continue working on mail apps for iOS and Mac as he joins software company Readdle as the VP of Engineering for its Spark email app. The move comes after six years as the lead of Apple’s Mail app development. Blanchard joined Apple in 2011 and led the development and QA teams for Apple Mail until joining Readdle this month. While it’s unclear exactly why Blanchard has decided to part ways with Apple,he does hint that he shares “a fundamental vision of what the future of email should be” with Readdle. Readdle’s 105 member team is headquartered in Odessa, Ukraine, but Blanchard will remain in Silicon Valley where he’ll lead a team and office for Spark. Readdle currently claims around 65 million downloads of its popular productivity apps including PDF Expert, Scanner Pro, Calendars 5, Documents and others. The Spark app is relatively new in comparison to the company’s other apps, having first launched for iPhone, iPad and Apple Watch in May 2015 and then on the Mac last November. The Spark email app is available as a free download on the App Store for iPhone and iPad and Mac. 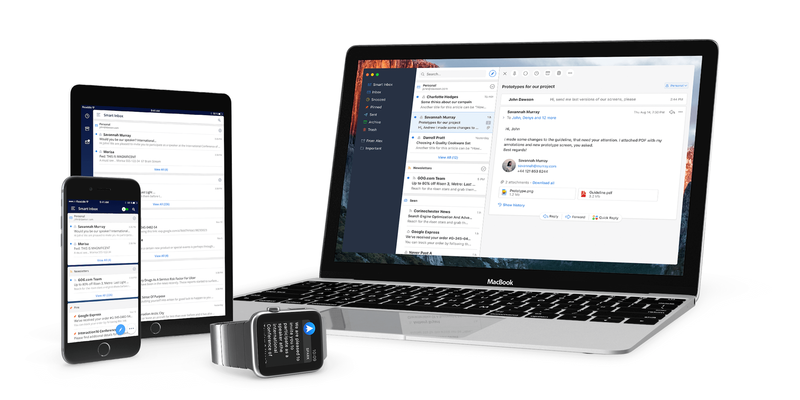 Former Apple Mail engineering manager joins Readdle to build future of email with Spark. Terry Blanchard spent the last 6 years leading the Engineering and QA teams responsible for Apple Mail which is used by millions of people worldwide. Spark is one of the most popular email applications, winning numerous awards from Apple (best of 2015 on iOS, and 2016 on Mac). It is often regarded as a preferred 3rd party email client by industry experts and media. Igor Zhadanov, Readdle CEO shares his vision and expansion plans: “Email is not going anywhere and has to be reinvented. The team has done a phenomenal job so far and we are committed to shaping the future of email. Terry is a valuable addition to the team and brings years of experience from one of the best companies in the world. He will be building a rockstar team in Silicon Valley and leading an office there”. Readdle has an extensive history of making innovative productivity apps since the very first day of the App Store. Popular apps such as Scanner Pro, PDF Expert, Documents and Calendars 5 often defined and shaped app categories on iOS, such as mobile document scanning, document management, calendaring, PDF editing and now email. These apps have been downloaded over 65 million times. Readdle is a 105 member team with an HQ in Odessa, Ukraine and has built a profitable business without the need to raise external capital. The Readdle team aims to shape the future of work, and email is a central part of that vision.